and just generally feel more alive and contented? Then why not try VINYASA FLOW YOGA with Hannah on Mondays, Tuesdays, Wednesdays or Thursdays…. Hannah’s Vinyasa Flow Yoga classes offer an opportunity to explore breath with physical movement allowing the body to feel at one with the breath. Classes offer creative sequences which enables the body to ‘come alive’. Creative exploration through yoga will promote greater physical and mental vitality as well as strength and stamina. Vinyasa Flow links the postures practised in a regular Hatha class into a sequence of movements that flow with the breath. I may recommend a couple of private sessions of Flow Yoga prior to entering a class just for you to get to know my style of teaching. The cost of a 1:1 session in this instance would be £25. 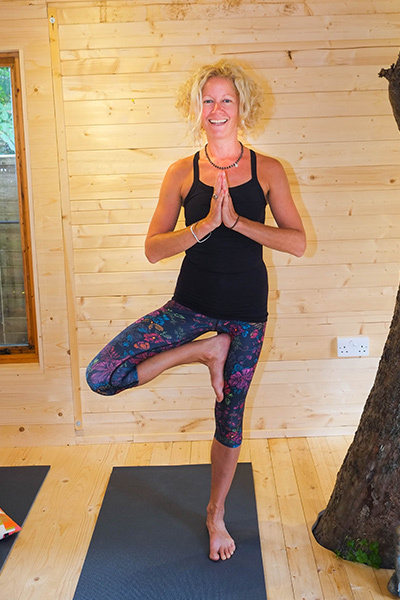 Hannah teaches Vinyasa Flow Yoga at Hove Yoga Studio in Hove, East Sussex. Please see her class schedule for the times of her classes. Please follow this link to download a copy of the questionnaire you will be asked to fill in before your first class. You can either fill a copy in when you arrive, or download it beforehand should you so wish. Are you wishing to complement your existing practise at all? Or would you like to work specific areas of your body? Then why not come along to a monthly vinyasa flow class!